The registration of marriage has been made compulsory by the government of Telangana too like most other states in the country. The online procedure is not yet available so it has to be done at the Sub-Registrar office. Usually, the marriage is done under the Hindu marriage act or the special marriage act. Other than this, there is the Christian marriage act too. The application process of marriage in Hyderabad, Warangal, Nizamabad, Ramagundam (Telangana) is mentioned below. At the time of the marriage, both bride and groom must be single. The age of the bride must be 18 and above, on the other hand, the age of the groom must be 21 and above. You can apply at the Sub-Registrar office with the application form and all required documents. You can download the form by clicking on the link http://registration.telangana.gov.in/downloads/HinduMarriageAppForm.pdf. Fill it up with accurate information about both bride and groom. Submit it to the Sub-Registrar office to complete the application. In the case of Hindu marriage act, the couple will get a time of 15 days to complete all formalities and in case of special marriage act, the time can extend up to 60 days. There is also a tatkaal marriage feature, which can be completed within 24 hours but the fee for the procedure is a bit high. It is INR 10,000. Usually, it is required if the couple needs to shift abroad after marriage within a short period of time. The normal fee for the Hindu marriage act is INR 100 and the special marriage act is INR 150. You have to attach the receipt of the fee along with the application form. Photograph captured in the marriage ceremony where both bride and groom are visible clearly. The Residential proof of both bride and groom. 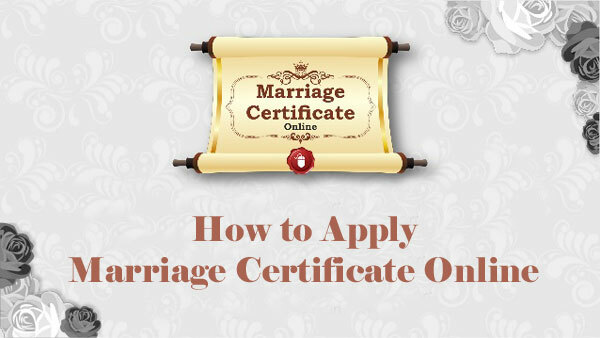 A few other documents of both bride and groom: SSC Certificates, Passport Copies, etc. The sign of three witnesses is required in the form. The identity and address proof of three witnesses are required. All three witnesses must sign in the register at the office of the Registrar. If you require any more information or have any further questions on the topic, feel free to share your thoughts using our comments section. Stay Tuned.